With the recent reintroduction of a bill that would allow drivers as young as 18 to drive heavy-duty trucks in interstate commerce, the Owner-Operator Independent Drivers Association has sent a letter to members of Congress in opposition. Last week, the Developing Responsible Individuals for a Vibrant Economy (DRIVE-Safe) Act was gain introduced on Capitol Hill in a bipartisan effort to change federal law on the minimm age for an interstate truck driver. It is the second go-round for the bill, which was originally introduced in 2018 but never brought to a vote. OOIDA along with several safety advocacy groups signed a letter opposing it at the time. The DRIVE-Safe ACT would establish an apprenticeship program for CDL holders under the age of 21 for training these young drivers under rigorous safety standards and with performance benchmarks before being allowed to drive on their own. It also includes requirements for these young drivers to use safety technologies, including collision mitigation, speed governors and video-event recording. Drivers under the age of 21 are currently allowed to drive commercial vehicles in the Lower 48 states, but until federal law is changed, they cannot participate in interstate commerce. However, in its letter OOIDA states that it believes that bringing in younger drivers would not only be less safe, but also negatively affect driver wages and working conditions– and possibly open the young drivers up to predatory practices. “Younger drivers – especially teenagers – generally lack the maturity and experience to operate a commercial motor vehicle at the safest levels. Research consistently concludes that CMV drivers under the age of 21 are more likely to be involved in crashes,” the letter states. OOIDA also stated that the bill would not fix the problem that it was designed to fix– that fleets are having a hard time finding drivers to fill seats. 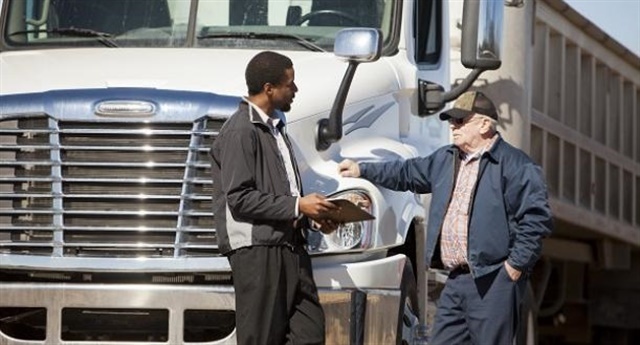 The group stated that the driver shortage is not a true shortage of drivers at all, but is the result of high turnover at fleets and overcapacity. OOIDA contends that allowing younger drivers wouldn’t solve that issue and could actually make it worse.